State by state data on ICMA women members in the profession. See members working for change. ICMA 2016 President Pat Martel, City Manager, Daly City, CA, explains why ICMA is committed to helping people succeed in local government leadership. She underscores the importance of reaching out to people of diverse backgrounds to reflect the communities they serve. The Task Force on Strengthening Inclusiveness within the Profession kicked off its work at the 2014 Annual ICMA Conference in Charlotte, NC. Conference attendees were invited to participate in a session at the conference to share their ideas with the Task Force to help inform and inspire its work. How are local governments welcoming people with diverse backgrounds? Julie Underwood, Assistant City Manager, Daly City, CA, explains why diversity in local government professionals is important and steps to support it. 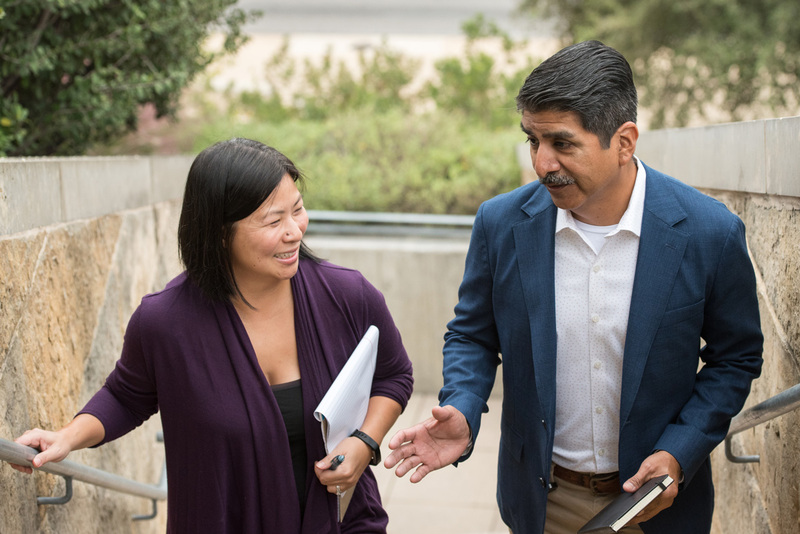 Julie Thuy Underwood, Assistant City Manager of Daly City, California, provides advice for women considering a local government career. Amy Cunningham, Administrative Services Director for the Town of Moraga, California, provides advice for students thinking about a local government career and shares the highlight of her career so far. Aretha Ferrell-Benavides, City Manager of Glenn Heights, Texas, describes her experience in one of ICMA's Global Programs. Marcia Raines, City Manager of Millbrae, CA, describes how coaching is inspirational to her.